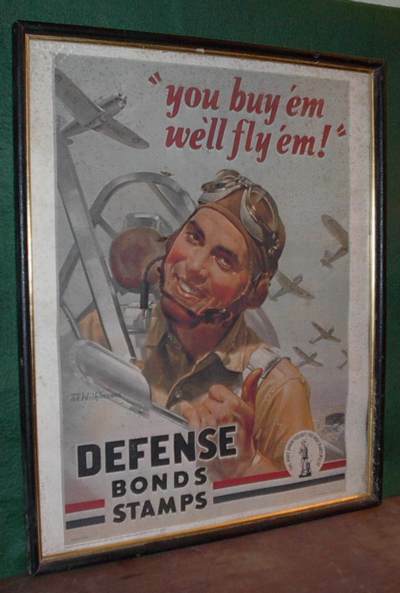 Framed World War 2 Defense Bonds Poster. It measures 20 inches tall and 14 inches wide. Not counting frame.